This is the offical Aqua-Gero.com bootskin. Hope All users enjoy this bootskin. 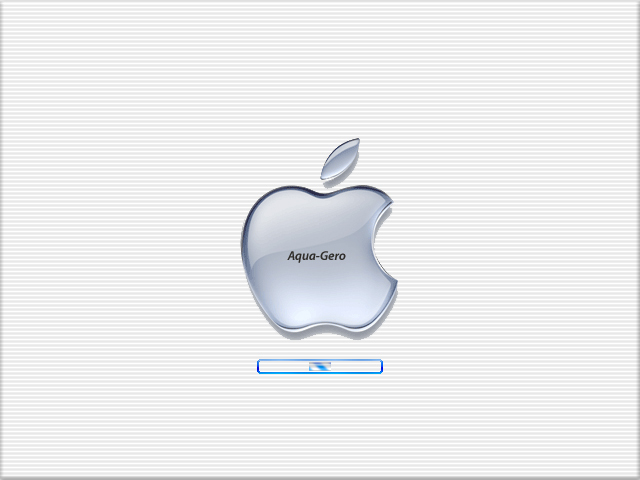 The Bootskin consist of a Glass style Apple Logo and a Mac based progres bar. 1. In order to have this Bootscreen properly installed, you must have Stardock’s BootSkin software. 2. Once you have installed BootSkin, run BootSkin. 3. Go to the File Menu. Click Import from File. 4. Go to the folder to where you downloaded the .bootskin file. 5. It will prompt that the import was successful. 6. It will automatically apply the bootscreen as the default one. Congratulations! You now have this bootscreen installed. Enjoy!